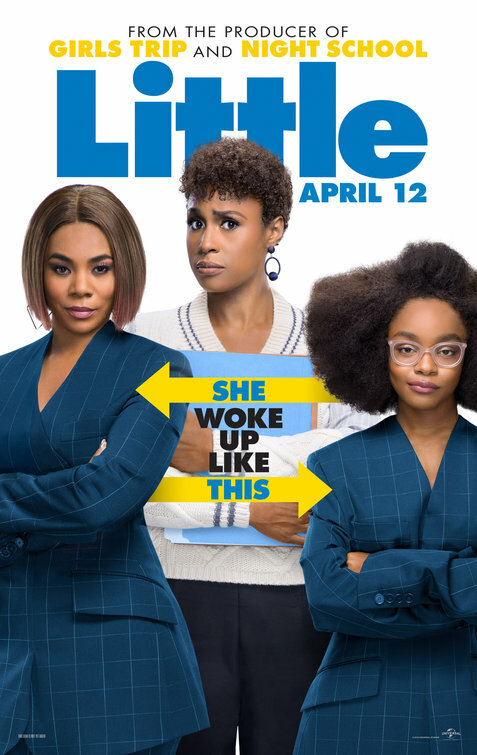 We're happy to offer our DC readers the chance to attend a free advance screening of Little, the new comedy starring Regina Hall, Issa Rae, and Marsai Martin. SYNOPSIS: Girls Trip’s Regina Hall and Black-ish’s Marsai Martin both star as Jordan Sanders — Hall as the take-no-prisoners tech mogul adult version of Jordan and Martin as the 13-year-old version of her who wakes up in her adult self’s penthouse just before a do-or-die presentation. The screening takes place on Tuesday, April 9th at 7:00pm at Regal Majestic in Silver Spring. If you'd like to attend, simply complete the Rafflecopter contest form below. Winners will be notified by email. Good luck! Little opens in theatres on April 12th.